The affiliate marketing dream … You wake up in the morning, check your Paypal balance — you made money while you slept. You didn’t buy and resell any products, you don’t have any customer support tickets to check, you don’t have any returns to deal with. Just sit back and watch the money come in. – NOT! In fairness, this does describe the best parts of affiliate marketing and for successful affiliate marketers, it does happen. But it glosses over all the effort it took to get to that point and to stay there. It is of course not effortless but it is free from most of the issues surrounding e-commerce, drop-shipping, FBA and most other ways of making money online. Affiliate marketing is a big industry and expected to reach $6.8 billion by 2020. Most companies view it as a valuable sales channel. It is here to stay. You will receive a commission for referring a customer who makes a purchase. It is a very simple business model – you are essentially an independent sales representative. Most people are familiar with Amazon’s Affiliate program – Amazon Associates. It is by far the largest affiliate program in the world and a great place to start. Amazon’s program is a Pay per Sale type of program. You get paid when the customer purchases something. Although Amazon is the largest there are thousands of other affiliate programs and marketplaces to find products that are best for your audience. A lot of new online marketers start with affiliate marketing. It is the perfect starting point and all of the skills you acquire – WordPress, SEO, content marketing, etc. are transferable to ANY online business. Not everyone who tries affiliate marketing sticks with it, but almost all successful Internet Marketers started with Affiliate Marketing. Many marketers continue to make their families income with affiliate marketing. Unlike e-commerce, FBA, or creating your own products there are few startup costs. You can learn about marketing products on the internet with much less risk. You learn how to build websites, how to rank content, content marketing strategies and more. Much better to do this with someone else’s products that you represent than to have an engineer on your payroll or a container full of products in your warehouse or at Amazon. Some marketers will stick with affiliate marketing and grow their sites and revenues. Others will move on to creating their own products or e-commerce sites. But whatever your next step is the lessons learned as an affiliate are transferrable. But new marketers are bombarded with enough new terms, acronyms, and concepts to make one’s head spin. Let’s break t all down and explain what affiliate marketing beginners and intermediate marketers need to know to succeed. In the simplest of terms, affiliate marketing is the sale of another companies product or service for a commission. You are part of their sales team and they pay you when you bring them a customer who purchases from them. There are many styles and types of affiliate marketing sites and some marketers don’t have a website at all – they use YouTube or social media as there audience/customer outreach. You can check out our 101 Affiliate Marketing Site Examples to get an idea of what affiliate sites can look like. We also have income reports in that document. The transaction flow of an affiliate deal is straightforward. Sellers have products they want to find additional distribution channels for. Affiliates have an audience, or e-mail list and possibly some online advertising expertise. The affiliate signs up to represent the product. They create landing pages, reviews, e-mail campaigns, paid ad campaigns, youtube videos, etc., that promote the product. A buyer responds to the affiliate offer. Buys the sellers product at the seller’s site – after coming from the affiliate. The link from the affiliate to the seller has the affiliates id in it to ensure credit and commissions. If there is one underlying concept it is that you must create an audience. If you have no audience you are simply shouting in an empty forest. You are making noise but no one can hear you. This is not a build-it-they-will-come type of effort. It is a way to monetize traffic not a way to create an audience. So how to get started with affiliate marketing? You need to create an audience or use paid traffic. Of course, you need to have people to send to your affiliate offers. You can have the best-looking website and do a great job of presenting your affiliate links. But if you don’t have an audience you are shouting in an empty forest. You make a lot of noise but no one can hear you. You can purchase traffic with advertising and many are successful at this. It is a more advanced affiliate concept and you have now added the cost of the ads to your business model. Many new affiliates have spent more on ads than they have received in commissions. You have eliminated one of the best aspects of affiliate marketing. Very low startup costs. For most affiliates, the niche model is a better one. With niche marketing, you use content marketing to generate free traffic to your website. You select a niche based on keywords and topics that you can compete for in Google and other search engines like Bing. You want to find a topic that you can become the authority in. This means you need to find the right size niche. One that is big enough to have search volume but not so big that you are trying to compete with larger, more established sites. After you have selected your niche you create content that is a mix of articles that answer searches at Google. You research both informational queries like “how to …” type questions and buying/commercial intent queries like “best …”. The informational posts establish your authority. The buying and commercial intent posts are your money pages – these have most of the affiliate links in them and convert better. Creating content that performs well in search is what affiliate SEO is all about. Like any industry, the affiliate and online marketing world has there own set of jargon and industry terms. Here are some of the more common buzzwords you will hear. Affiliate SEO stands for affiliate search engine optimization. In the past, this was a bit of a game that allowed you to trick Google into sending you traffic by stuffing keywords all over your content or having a long exact-match domain name. Now SEO has become more technical and is really about organizing your information to make it easy for Google to find and rank. There are two main areas of SEO – On-page and Off-page. On-page is all of the information about your content and the way it is delivered to your audience. This includes the structure of the content and the performance of your website to both desktop and mobile users. Off-page SEO is all of the links that are incoming to your content and how people interact with it. This includes backlinks from other sites, social media links and any other external interaction with the content. At Prosociate we have lots of SEO tips for you to optimize your site and content for search traffic. Right-sizing your niche is a critical first step as you develop a content strategy that will establish you as an authority. You need to find a niche with enough search volume to generate traffic but not so much that you are competing with giant sites that will always outrank you. You need to find your Goldilocks niche. SEO will be the largest source of traffic for most sites but other traffic sources can add up to more traffic and income. Strong marketing execution with email, landing pages, social media, and other tactics will often be the critical success factor. In addition to SEO there are also programs to choose, both Amazon and others. Physical products make up the backbone for many niche affiliate sites. These are things you buy at Amazon, specialty retail stores etc. Every niche has special products that you can review and recommend. One of the goals for many niche marketers is to be the authority in their corner of the world. One thing that helps is having the perfect products that represent the best of the industry. Amazon is the largest, most visible affiliate marketer in the world. One of the key things that will make a lead convert to a sale is trust. Amazon is the “king of trust”. Almost everyone is comfortable with Amazon so there is no friction to have them reconsider that purchase. There are products for any niche, no matter how obscure. Every new affiliate marketer should be an Amazon Associate. They make it very easy to get started and give you 180 days to make 3 sales. We are developers of plugins for Amazon – we have a great deal of experience with Amazon and thousands of customers. Shareasale represents a number of brands. many of the programs have auto-sign up. Some do require a review by the individual company affiliate manager. ShareASale has a good mix of physical product companies and services. They have many household names in their merchant portfolio. eBay has a very useful affiliate program. Like Amazon, eBay has a 24-hour cookie window. eBay commissions are paid based on the profit that eBay receives for a transaction (not the selling price like Amazon). The commission schedule pays from 50% to 70%of the fees. There is a 100% bonus for new or reactivated buyers. eBay also gives you easy access to their API. This lets anyone use products like Prosociate eBay to create affiliate links. Rakuten used to be known as LinkShare. They have been around since the late 90’s. Not as big as others with approximately 1900 advertisers. The offers are grouped by category for easy discovery. They have a good mix of products with both large brands like Dior and trending companies in tech like TextNow. Their affiliate dashboard and support are well regarded. Many programs require individual sire reviews by advertisers. Commission Junction (CJ), Rakuten, and ShareASale are very similar. It is really a matter of who has the best products for you and which advertisers will accept you. CJ is one of the larger programs so there are many offers to choose from. Sure there is Amazon’s affiliate program and other sources for physical products to represent. You should consider using these for all niches. But there are so many other affiliate programs that you can use. In addition to the physical product marketplaces, there are downloadable products and recurring Products. Do be careful with these products as there is definitely a mix of good products and junk. You don’t want to alienate your audience with bad products – that’s hard to recover from. After Amazon the affiliate program most familiar to people is ClickBank. The ClickBank program is primarily for electronically delivered products, Software as a Service (SaaS) products or memberships. Check-out our in-depth article about ClickBank. JV-Zoo is very similar to ClickBank. One difference though is that each product owner must approve you. There are also affiliate programs for products with recurring commissions. These are typically SaaS or hosting products. Any product that has a monthly subscription may have a monthly commission. We compiled a list of over 125 recurring commission programs. There are certain basic marketing concepts that work well. Sales funnels are created to bring a customer through the sales process. You have a much better chance of an offer being purchased from a visitor who is familiar with you. Someone who has visited your website, read your emails and posts and been to your social media site. Sales to a cold a first touch prospect are much less likely. Writing and design are a big part of your content marketing strategy. You need to be creating content on a regular basis that is topically relevant. We have both a writing guide and a guide to outsourcing your writing needs. But it will not happen overnight. Do you want to build sites to resell or generate income? Many affiliate marketers will get a site off the ground, develop the content and start to monetize the site. After a year’s worth of earnings, they will sell the site. Affiliate marketing sites sell for 20+ times their monthly earnings. So if you are making $2k per month you can expect around $40,000 for the site. You can also buy affiliate sites to hit the ground running and know that you have a viable niche. Other quick-start options are purchasing a Built for You site. One thing to consider is that there is a startup period where you are developing content and getting better positioning from Google. They typically “sandbox” you for 4-6 months as you are evaluated and gain authority via your content and backlinks. Purchasing an aged or income producing site gives you a jump-start. There are a number of strategies when it comes to monetizing niche sites. New Niche – This has the advantage of little to no costs to you. You research a niche, build a site, add content, generate traffic and offer the traffic affiliate products. This is a minimum six months until you have traffic and steady sales. But it is all sweat equity. Built-for-you site – This will cut a few months off of the new site time and hopefully avoid major errors. Aged Sites – Same as above but no Google sandbox. Purchase revenue producing site – This will let you have a going concern right away. If you can find a site that needs a push of content or backlinks to get to the next stage this is a great way to go. You need the capital and you need to understand how to buy sites. Paid ads driving CPA sales – Google and Bing ads are purchased and drive traffic to affiliate offers. You need to be careful as ad costs are sunken costs. They create no additional value to the company. Adsense sites – Flip around the niche selection process. You are looking for higher volume “information” keywords. You are after broad traffic not just buying intent traffic. Try to find trending topics. Google Trends is a good resource for trend watching. An ad-based revenue model also has affiliate opportunities with the high traffic. You need 100k visits per month to have ads start to work as your revenue source. I wouldn’t choose a niche that you could not plan for 1 million per month. This requires lots of content. Social outreach to Instagram, Pinterest etc. is needed. Build & Sell Sites – Some affiliate marketers set out with the goal to ramp a site up with the intent of selling it. At 20x trailing monthly revenues this can be an effective business model. Here’s where people buy and sell sites. There are a number of misconceptions, myths and outright BS in the affiliate marketing world. Many affiliates are new to Internet marketing and targets for questionable sales pitches. When I look through my emails I see many pitches like make money fast, set it and forget it passive income, automatic site builders, PLR content sites, etc. There is also a lot of misinformation and outdated advice. Let’s try to cut through the noise and dispell the worst of these notions. Affiliate marketing success takes time. The money is definitely there but you must first build an audience. Since you are typically dependent on search for traffic, you must also gain Google’s trust and anointment as an authority. You must create content that helps visitors with buying intent to answer their questions. All of these things take time. If you have an existing blog or another site with traffic you can monetize that quickly with affiliate marketing, otherwise patience and perseverance are critical to your success. While Amazon is still one of the best affiliate marketplaces for affiliate marketers there are many other options. Amazon is still a good foundation for your affiliate marketing. The reason is two-fold. First, with over 600 million products, they have products for every possible niche you can be involved with. And secondly, they have a huge trust factor. No one thinks twice about buying at Amazon. When users are referred to Amazon by an affiliate they often make other purchases which the affiliate is paid a commission. But Amazon has its downsides: low commission rates, short cookie period to get sales credit, and terms of service that you can easily violate mistakenly. For this reason, it is best to look at other affiliate programs. There are marketplaces like ClickBank and ShareASale and thousand of independent affiliate programs. For most sites, the best course is to have multiple channels of revenue including multiple affiliate programs. Check out our post about affiliates beyond Amazon. Take a look at 101 affiliate marketing examples for ideas and examples of successful affiliates. Everything you want to learn about affiliate marketing is available for free online. However, I am a big believer in learning from others and there is certainly value in this. But it is not necessary to have a mentor or coach and there is a great risk that you are getting old information and are just a revenue source for someone. The same with the courses. Some are great others are rehashed old ideas. There are many free Facebook groups as well. Must of what you need experiences and that is gained by taking action. One of the benefits of affiliate marketing is the low startup cost so there is no downside to learning on the job. If you do have the funds and are someone who prefers to learn via courseware, check out Doug Cunnington’s five-figure niche. Doug is the man behind the Keyword Golden Ration, a very effective way for new sites to find keywords that are easier to rank for. The technical demands of affiliate marketing are not an obstacle for most people. In fact, sometimes people with a strong technical background get too bogged down in plugins, themes, WordPress performance, and other technical issues at the expense of content and marketing. They also are prone to overspend on shiny objects and waste a lot of time testing and evaluating. Best to start with a basic layout and free theme and start adding content. Build an audience. There are a number of terms and basic jargon to come up to speed on but you can do that as you grow your site. Affiliate marketing is location independent. Most affiliate programs have few if any limitations on your location. In fact, affiliate marketing is one of the best ways for someone living in a smaller country market to reach a larger market like the US or European countries. There are payment systems like Payoneer that will let you use affiliate programs that require a US bank account. 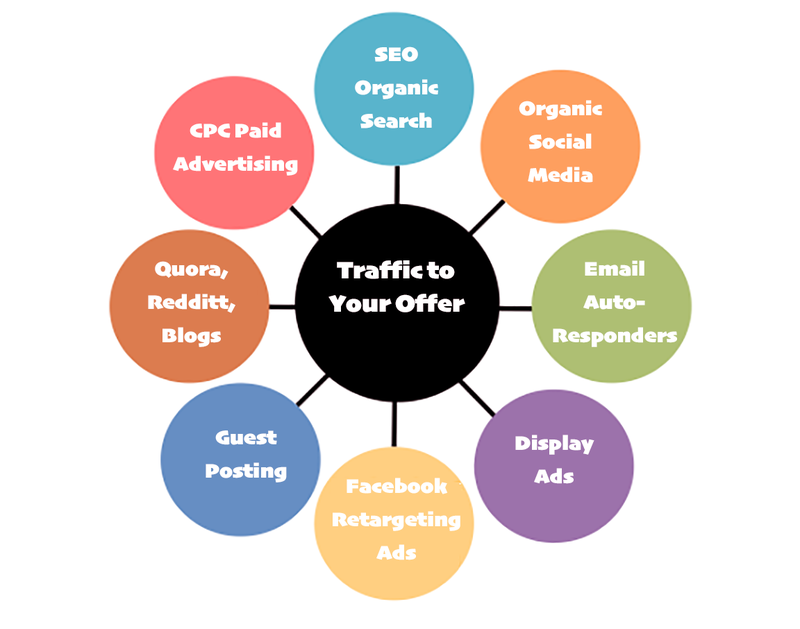 High volumes of traffic may generate a few dollars in advertising revenue on your site but for traffic to convert to affiliate sales, you want traffic from visitors with buying intent. Consider someone whose search at Google is “acoustic guitar”. Most likely they are looking for information about guitars, different sizes, how to tune, how to string etc. Sure some may go on to buy one from this search – but not many. Compare that to those searching for, “best guitar for beginners” or “acoustic guitar sale”. These searches have buying intent. Google also now understands the intent difference and will direct the users to other sites with more general information, not your site with reviews of guitars and articles on how to select a guitar to purchase, etc. 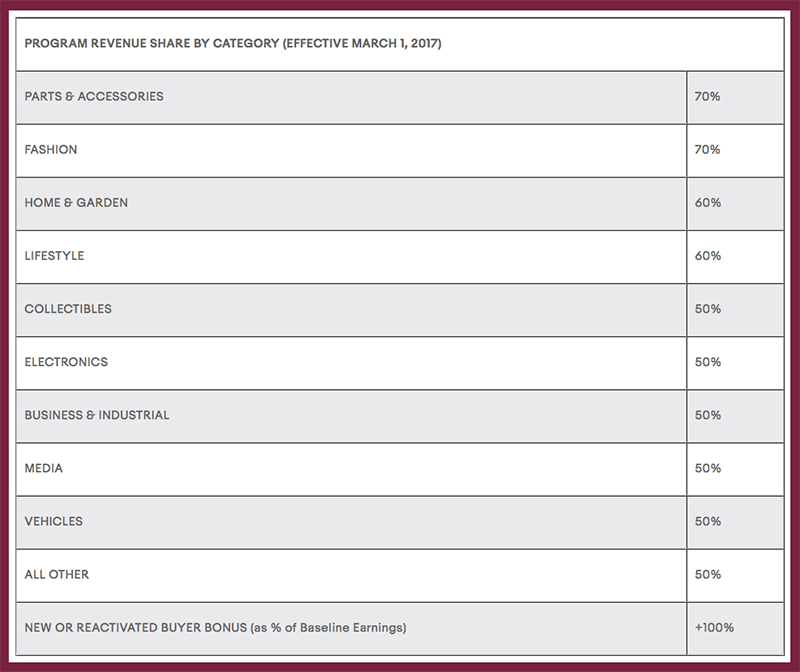 Check out the top results for most buying searches like “best xyz product”. You will find these are dominated by affiliate marketers big and small. If Google really hated affiliates you would not see these companies so high in the rankings. What Google hates is spammy affiliates with low-quality content. Google does not want to direct a user to a site with ads above the fold and hundreds of affiliate links all over the content. They want their users to get valuable information which should include where to purchase a product if the search was one with buying intent. Many successful affiliates are promoting there products on YouTube and social media channels like Pinterest and Facebook. You can start with your Facebook page, create some Facebook videos, email offers to your list, or redirect to single landing pages vs a full-blown website. There are many options and types of ways to reach affiliates. Most people will eventually have an affiliate website but that does not need to come first. It takes effort and activity to be successful. New content, backlink outreach, and other tasks are required. This passive automated income myth is usually suggested by someone trying to sell you something. It should be a red flag when you come across these suggestions and offers. Certainly, successful sites have stages of effort and building the initial site, content, email responders etc. is a larger effort than the ongoing requirements to find new products and post new content. But it is never passive. If you are getting sales from a passive website you would be getting many more sales with activity. We make Prosociate one of the most popular and feature reach plugins for Amazon and eBay affiliates. So we would love to have you use our tools. But you don’t need these tools to get started. They are best for affiliates with larger sites and many products. Or for sites trying to be an Amazon or eBay storefront. New users are better off to focus on selecting their niche and creating content. The same applies to dedicated themes. Again we make some great ones at Ready Themes but you are better to just start with a site focused on your audience and make great content. You can easily change themes and add premium plugins later. If you have the budget it is better to spend money on creating great content with outsourced writers and build up the keywords that Google send traffic to. One of the great things about affiliate marketing is it is very accessible. The skills you develop developing your site and executing your content management plan are directly transferable to all other online businesses. The biggest step you can make is to simply take action. Unlike other ways to make money online, there are little to no startup costs. You can get started for under $50 with a hosting company and free WordPress theme. Affiliate marketing is a great way to earn money online from your blog, Facebook pages, YouTube video, email list and more. But don’t be fooled into believing there is any magic path to success. It takes time and effort or money to create a successful site. You must build an audience and authority with Google – this will take some time. Like any business there are definitely skills to acquire, terms to learn, productive and unproductive methods. The good news is that all of this information is available online. Affiliate marketing continues to be one of the best starting points for new marketers and a solid business model for earning online. The section of a website or blog that appears in a browser when someone lands on a page on your site without them having to scroll. Never put ads or affiliate links above the fold as Google may feel this is spammy. The company that makes the products or services that you promote. Usually referred to as the Merchant. This is the link provided by the merchant. It contains your affiliate id for tracking and commission credit. A company that provides affiliate program management to a merchant. The affiliate network brings merchants and affiliates together and manages the program for the merchant. Affiliate networks provide the technology for tracking affiliate activities and tracks the affiliate sales. They may or may not make the payments to the affiliates. Examples include Share a Sale, Clickbank, and JV Zoo. Application Programming Interface. This is a set of tools that a software developer can use to integrate with. Examples include Amazon’s Product Advertising api that tools like Prosociate use to import products to your website. Merchants approve or deny affiliates an affiliates access to their program via automatic approval or manual approval. The average order value is the sum total of all orders divided by the number of orders. It’s a handy metric to know for forecasting your sales. SEO techniques that if discovered would be violations of Google’s or other companies rules. Examples would include PBN and cookie stuffing. If discovered you will be reindexed by Google or reauthorized by the merchant. The reversal of a commission when a customer returns a product to the merchant. For affiliates, this is usually used in the PPC programs. Click fraud is when you (rather than a customer) programmatically or in some other way click on links to get credit. When someone clicks on your affiliate link and are taken to the merchant’s website. The number of times your affiliate link has been clicked on as compared to the number of times the link has been viewed. Your CTR is calculated by dividing the number of impressions (times the link was shown) by the number of clicks to the merchant. The result is then multiplied by 100 to get your CTR percentage. Hiding affiliate tracking codes in a link to shorten the link and make it more user-friendly and easily tracked by the affiliate. Pretty Links is a common WordPress plugin to shorten or cloak links. A text link placed in your website content such as in a review article. As opposed to a sidebar or banner link. The rate that shows the number of times your affiliate link has generated a conversion vs the number of times the link has been viewed. Calculated by taking the number of sales a link has and dividing it by the number of impressions the link received. Then multiply the result by 100 to get your conversion rate percentage. A text file that is sent from a website to a file within a user’s web browser. Cookies are used to track your affiliate activity by the merchant, to install a Facebook pixel and other goals. The amount of time an affiliate Cookie lives for the purpose of sales credit. If a user visits your site and buys from the merchant during the cookies lifetime you get credit. Typically an affiliate cookie expires in 30-90 days. Some are as short-lived as 24 hours. A practice that somehow adds a cookie to a user when the user did not go to the merchant’s site. An example would be adding an affiliate cookie to all of your site visitors. Then if the user visits the merchant site at any time in the lifetime of the cookie the affiliate would get credit. This is a violation of all affiliate programs and a blackout technique. Cost Per Action or Acquisition. It is the amount of money paid to the affiliate when the user performs the action desired by the merchant such as visiting the site or filling out a form. Cost Per Click usually is used to measure ad campaigns effectiveness. It is the amount of money paid to generate a click or the number of clicks generated divided by the cost of the ad campaign. Cost Per Thousand or the amount of money it costs to show an ad per 1000 impressions. Comma Separated Value file. A list of items like products with their values separated by commas. Tools like spreadsheets can create these files and many software programs like Prosociate can import files in this format. A file or electronically supplied information resource. Often a list of affiliate offers or products. When you are removed from all Google search results. Typically Google does this for unnatural backlinks, PBN usage or other blackout techniques. A page or notice on your website to disclose to your visitors that you are an affiliate marketer and may receive compensation when they visit a merchant. Many affiliate programs like Amazon’s have rigid rules about disclosure notices for transparency reasons. A number from 1-100 that attempts to define the authority of a site. It helps to understand where you will rank for a specific search term in Google and best used as a comparison to other sites. MOZ is the best-known DA ranker. Content that is either not original or already exists on your site. An affiliate link in an email sent to a prospect. Some programs like Amazon do not allow affiliate links in your emails and require that the links go to your site. Earnings Per Click. EPC is the amount you earn when someone clicks on your affiliate link and go to the merchant. It is the amount you have earned in commissions from an affiliate link divided it by the total number of clicks. A tracking code in the form of a cookie that allows you to create custom audiences in your FaceBook ad campaigns. A first click affiliate programs pay the affiliate who’s visitor first clicked on the affiliate link. As long as your cookie has not expired the user visiting another affiliate and then the merchant will not override your cookie. The automatic redirection of the user to a specific page based on their location. A file in your website home directory that sets 301 redirects and other rules. How many times an ad is shown to a visitor on a page. A merchant who runs their affiliate program by themselves rather than an Affiliate Network. An independent affiliate program the same as an in-house program. A business relationship for one event such as when a developer teams up with an affiliate and share the commissions or profits. The terms, word or phrase that describes the contents of a Web page. In SEO you target keywords that people often search for. Researching the number of times and other metrics related to a keyword’s use in documents for search engine optimization. The page that a user is sent to that is usually specific to a particular product or affiliate offer. Typically a landing page has no additional sidebars, headers or navigation to distract the visitor from the offer. As opposed to first click. It sets the affiliate to be paid as the last one that a user visits. Previous affiliate cookies will be overridden by the last affiliate visited. This is the most typical setup. A phrase as opposed to a single or short head keyword. For the keyword dog training, a long tail variation would be dog training for pitbulls. These are related keywords such as synonyms. Google is now focused on inferring a pages meaning vs. a simple match of literal keywords. When a merchant reviews potential affiliates on a case by case basis prior to approval. The company that makes the product that is offered to the affiliate. The page description that you want Google to use in their search results page. These are the tags or metadata that Google uses to learn about the meaning and context of your page. Examples are meta description and title. Not to be confused with HTML meta tags which are no longer relevant to search results. The meta tag that represents the title you want Google to use in their search result page for your document. A company that does SEO research and data analysis. They provide DA ranking of sites. A specific topic or vertical that your website is about. The part of SEO that relates to links back to your document from other sites and social media. All of the technical SEO items that relate to your content. Including meta descriptions, image alt attributes etc. See our Prosociate on-page SEO. The percentage of people who subscribe to your mailing list compared to the number of people who were presented the signup form. The strength of a particular page as measured by MOZ. Private Blog Network. These are websites whose sole purpose is to provide backlinks to your site and improve your ranking and authority with Google. If discovered you will be deindexed by Google. Effective but dangerous. Pay Per Sale. In a PPS affiliate program, the affiliate is paid a commission when a sale is made such as Amazon’s program. A PPC based affiliate program pays a commission whenever someone clicks on their affiliate link also refers to advertising program payouts like Google AdWords. The dollar amount of commissions an affiliate must earn before being paid. Private Label Rights. This is content that you can purchase and market under your own brand. With recurring commissions, you are paid on the initial sale and you also receive commissions on future payments by the purchaser to the merchant. This is common with SAAS products and Hosting. We have a post with over 125 recurring commission programs. The percentage of sales that get reversed by the merchant. This can help you understand the quality of the offering. Search Engine Results Page. This is the page a user receives from a search. You want to always be on page one of the SERP as most user never go to page 2 and beyond. Sending your affiliate offer to a rented email list. USually segmented for your affiliate offer. Payment can be by the click, the number of e-mail sent, opened, or other metrics. Also called A/B testing. This is the testing of two versions of content with different copy, design etc. to search which converts better. These are like landing pages with only the information about the product or offering. Typically shorter and mostly text. These pages are more specific in goal than a landing page which may have multiple objectives. The top affiliates in an affiliate program, typically the top 5% who combined often generate more than 75% of the total sales for the affiliate program. Is an affiliate link that is text-based vs an image or banner ad. Terms of Service. These are the rules of your affiliate program. Breaking these can get you reauthorized and you may forfeit payments due you. See our post, Amazon rules don’t get banned. This is the affiliate code assigned to you by the merchant. Backlinks that are manipulated. PBN networks and paid guest posts are examples of natural backlinks. SEO that does not violate any Google or other terms of service. Whitelabeling is when a merchant allows an affiliate or reseller to sell products under their own brand with no mention of the original merchant.